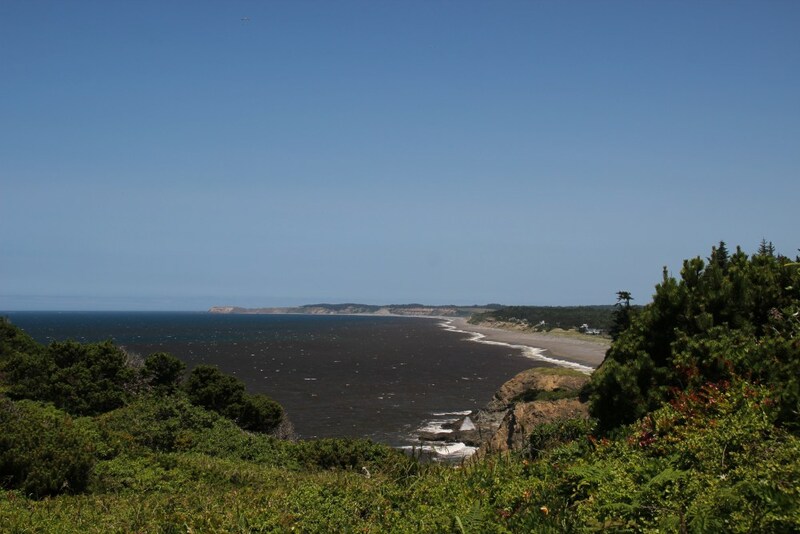 Hwy 101 mile marker 300. 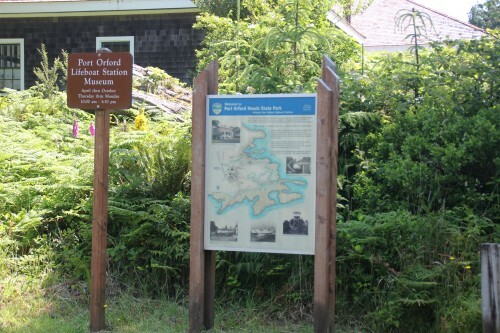 Port Orford Heads State Park offers a museum, as well as an actual lifeboat on display. 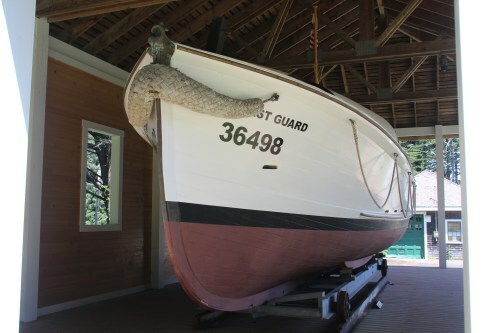 It's a 36 foot wooden craft for which restoration is planned. 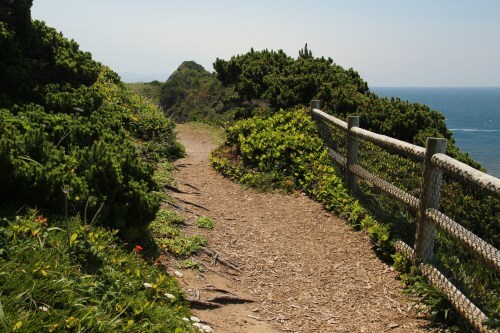 A hiking trail winds around the outer edges of the headlands, offering remarkable views to the South and to the North. You are about 100 feet above the ocean. 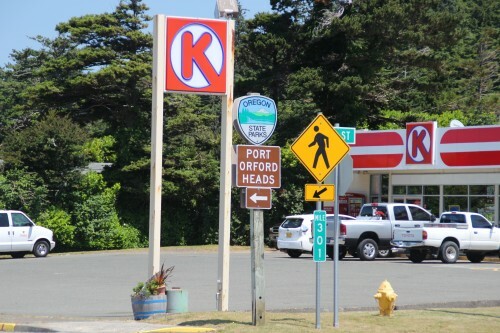 Oregon Parks link:Port Orford Heads S. P. No fee required. 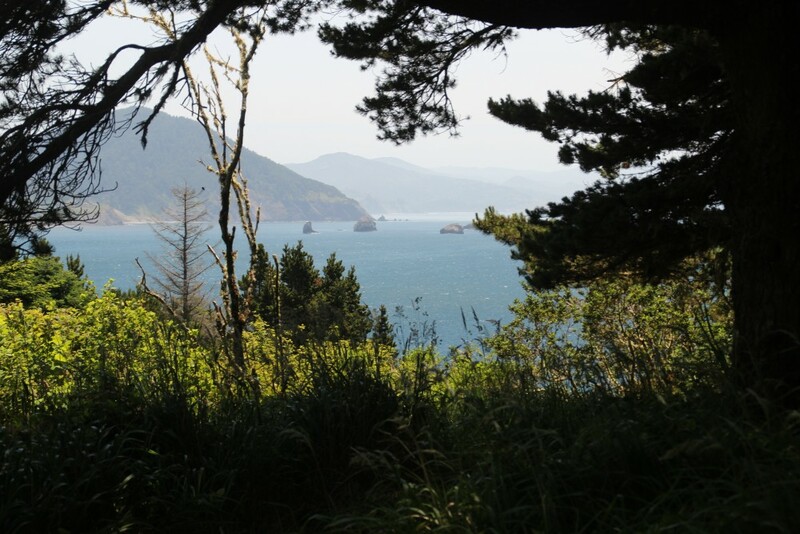 Here's a view looking out over the ocean from the hiking trail that winds around the entire headlands. This view is looking South through the trees. And here's a view to the North. 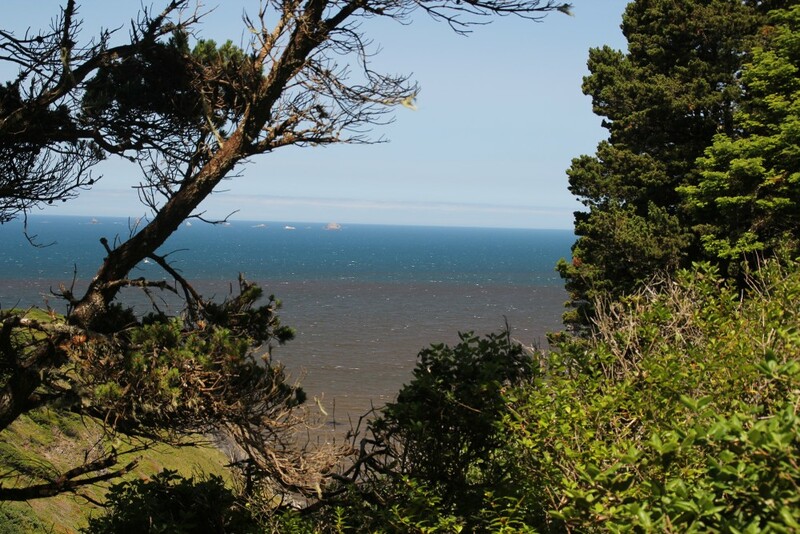 At the tip of the distant peninsula is Cape Blanco.